Subscribe - Simple living. Rich life. Are you ready to turn your existence into a life? We all could use a toothpick tossed on our fire now and then. 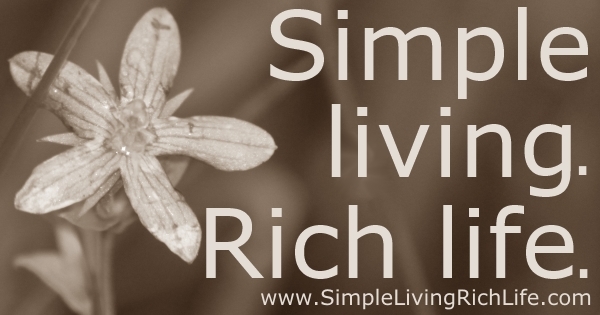 Subscribe to Simple living Rich Life and get one or two encouraging posts a month. Enough to keep you focused; not annoyed. Other than helping you on your journey I have zero interest in your email. Subscribe now and join the movement toward simpler living.